Samantha and Robert, a couple hailing from Yakima, Washington, recently built their first home together. 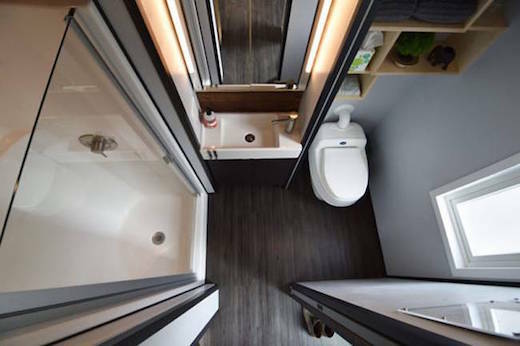 They both enjoy an adventurous lifestyle, from backpacking through Europe and South America, to road tripping across the US, so moving into a tiny home will be just another adventure for them. Samantha is a nurse, and Robert is an architectural designer. They both work full time, and it took them about 14 months to complete the home in their free time. 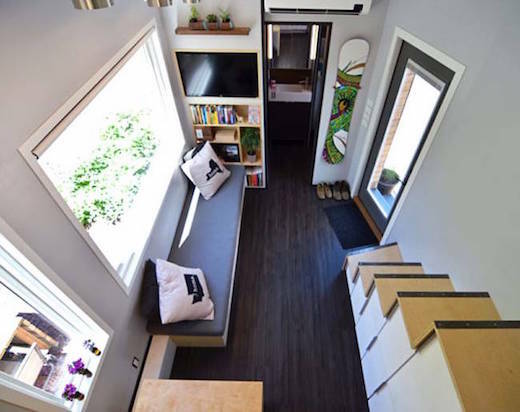 The home measures 204 sq ft and despite the small size it looks very spacious and uncluttered. They’re calling it Shed, and while it looks like one on the outside, the interior is very modern. The home is 8 ft 6 in wide and 13 ft 6 in tall, so they did not require a special permit to build it. 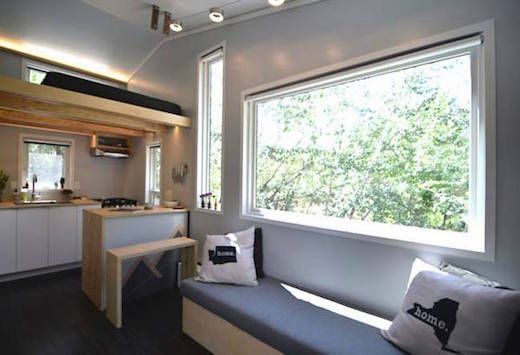 Instead of relying on plans, they designed it from scratch according to their needs and wants. 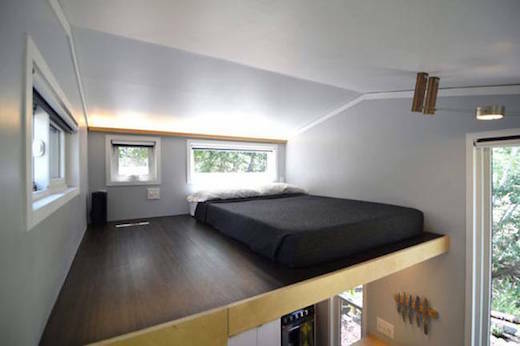 The sleeping loft is located under the highest part of the sloping roof. This area is quite spacious and offers enough headroom. 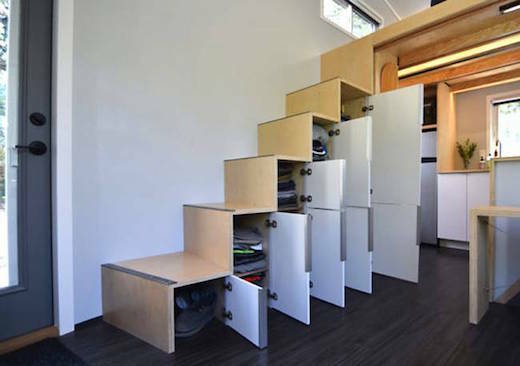 The stairs leading up to the bedroom also double as a storage area. 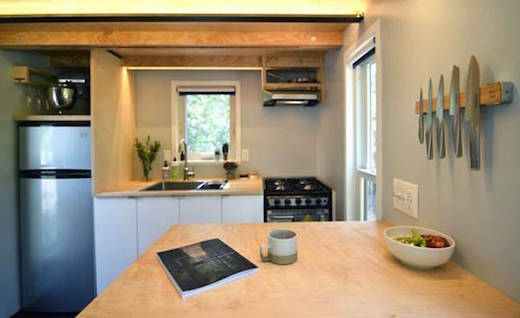 Below the loft is the kitchen, which is equipped with a stove, sink and full-sized fridge, and has plenty of counter space, which also acts as a dining table. 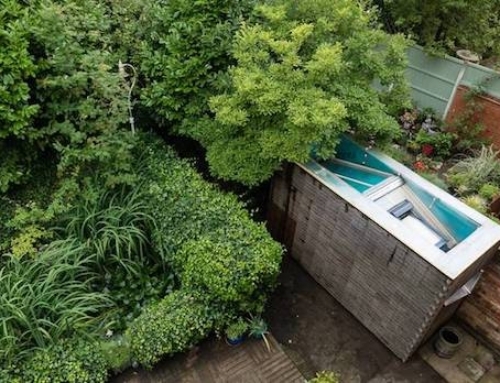 The bathroom is also quite spacious and features a shower, sink and toilet. 2×3 framing with continuous exterior insulation, which makes the walls lighter and offers excellent thermal performance. 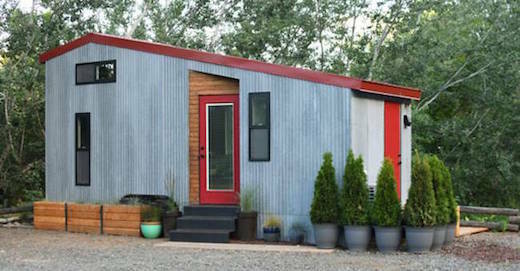 They also used some reclaimed materials in the build, such as the wedge entry alcove and corrugated metal siding, which was once a barn roof. 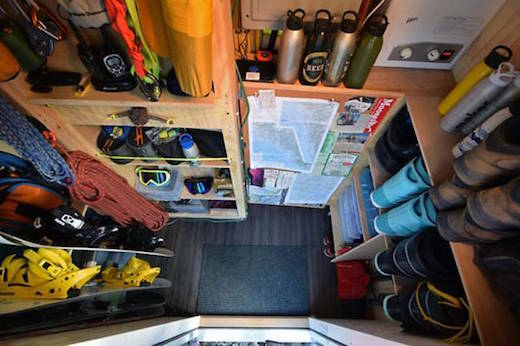 They also devoted 24 sq ft to a storage room, which might seem a lot to many, but having a place to store their outdoor gear was very important to them. They have documented the process of building their home on their blog Shedsistence, and have since published an e-book about it too.